Google is once again responding to complaints about working conditions and strategic decisions. The search firm is implementing “minimum standards” for temporary staff in the wake of 900-plus workers signing a letter criticizing the company’s policies, including a lack of insurance and time off. As of the start of 2020, temp agencies and suppliers will have to pay Google contractors at least $15 per hour. From 2022 onward, they’ll also have to offer “comprehensive” health insurance, eight paid sick days, 12 weeks of paid parental leave and $5,000 per year in tuition reimbursement. According to an email seen by The Guardian, the company’s Adrienne Crowther told workers the delay was necessary. “We wish it was as easy as flipping a switch and turning this on tomorrow,” she wrote. A spokeswoman confirmed the changes, but said they’d been in development “for a while” and that most partners would honor the new terms by 2020. The uproar stemmed in part from Google’s March 8th decision to shorten the contracts of 34 temp workers on the Google Assistant “personality” team (that is, the ones determining how the AI responds to questions). This not only left them scrambling for work, but highlighted the absence of safety nets. Google didn’t even let full-time staff offer support out of concerns the company could be held “legally liable,” the workers’ letter said. A manager eventually cleared full-timers to sympathize with temps. This won’t necessarily satisfy contractors, though. 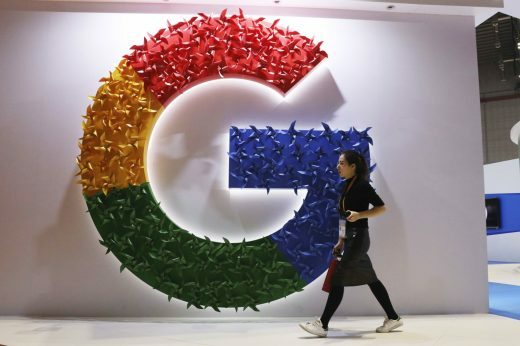 They’ve noted that Google didn’t address key demands in the letter, including requests to pay the length of the original contracts and convert temporary workers to full-time status. Google said it already “work[s] to transition” temporary staff to full-time positions, but that doesn’t appear to be the case for the 34 losing their work. In that light, the new standards are unlikely to represent an end to the issue.